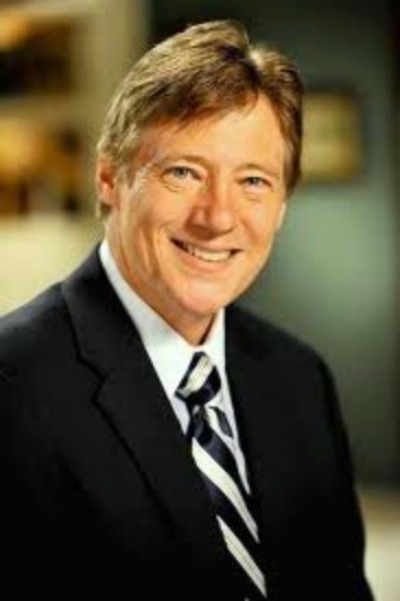 Jerry Newcombe, D.Min., is an on-air host/senior producer for D. James Kennedy Ministries. Geologist Dr. Aryeh Shimron claims to have found the "lost tomb of Jesus" in Jerusalem, proclaimed the Drudge Report (9/18/16). This is known as the Talpiot Tomb, first discovered in 1980. The implications of this claim, if it were true, are enormous — world-changing. Writing for The Sun (UK), Hannah Farrett notes, "he apparently has proof that Jesus Christ is buried at a site in East Jerusalem. But now Aryeh has done some tests, which he says prove Jesus of Nazareth, his wife Mary Magdalene and SON Judah were laid to rest there." She adds, "There are nine burial boxes in the tomb, and they all have names with links to the New Testament of the Bible on them …. This was highly controversial, given Christians believe Jesus was resurrected …. Some people rubbished the claims, saying all the names etched on the boxes were so common at the time there's no way of drawing any conclusions." It certainly is "highly controversial." But is it true? Dr. Paul L. Maier, Harvard-trained retired professor of ancient history at Western Michigan University, is a best-selling author. Most of his books are non-fiction. But he once wrote a novel called, A Skeleton in God's Closet. The book deals with an alleged discovery of Jesus' tomb — providing actual "proof" that Jesus had not risen from the dead — bodily, historically, physically — and that the whole Christian church in all of its manifestations was, therefore, built on a lie. Soon, the whole thing (Christianity) collapsed — as well it should — if Jesus has not indeed risen from the dead. For this column, I reached out to some leading New Testament scholars for comments. Dr. Maier emailed me: "It seems that sensationalizing writers about Jesus always try twice to gain public attention with their bizarre claims when their first effort fails .... Now Israeli Geologist Aryeh Shimron has done the same thing in the case of the Talpiot Tomb in Jerusalem. Virtually the same headlines were used now as when the 'discovery' was first announced in 2007. It was junk then, it is junk now. The current warmed-over version will receive the same reception now as nine years ago: Dead on Arrival." Dr. Michael Licona teaches at Houston Baptist University. The conclusion of his 700-plus page book, The Resurrection of Jesus: A New Historiographical Approach, states: "Jesus' resurrection from the dead is the best historical explanation of the relevant historical bedrock" (p. 610). He adds, "Since it fulfills all five of the criteria for the best explanation and outdistances competing hypotheses by a significant margin in their ability to fulfill the same criteria, the historian is warranted in regarding Jesus' resurrection as an event that occurred in the past." Responding to this new story, Licona wrote me: "Some things in history are more certain than others. One fact that is virtually certain is Jesus' disciples were convinced their rabbi had risen from the dead and had appeared to them. The data supporting this fact are so secure that virtually 100 percent of all historians of Jesus grant it, whether Jewish, agnostic, or atheist." And Licona notes, "Moreover, the earliest Christians proclaimed that Jesus had been raised bodily, leaving behind an empty grave. Dr. Shimron must explain how Jesus's corpse went missing, then received an honorable burial without any of His disciples ever learning about it. It seems more likely that Dr. Shimron is engaged in wishful thinking and that his claim to have found the family tomb of Jesus will soon be laid to rest in the graveyard of discarded fanciful hypotheses." Dr. Gary Habermas of Liberty University is a walking encyclopedia on the resurrection of Jesus and has written on it voluminously. His book, The Secret of the Talpiot Tomb: Unraveling the Mystery of the Jesus Family Tomb (2008), shows why the Talpiot Tomb could not possibly contain the tomb of Jesus of Nazareth. Habermas emailed me, "Thankfully, virtually no scholars support him [Shimron] at all." Finally, I also received feedback on the alleged "lost tomb of Jesus" from Dr. Darrell Bock, one of the world's leading New Testament scholars. Bock teaches at Dallas Theological Seminary. He emailed me, "Nothing has changed since this erroneous conclusion was originally proposed. Jesus would not be in a family tomb as his execution as a felon prevented him by Jewish tradition from being buried in a family tomb. In the Mishnah, Sanhedrin 6.5 says, 'And they did not bury [the felon] in the burial grounds of his ancestors.' So no burial with the family." In short, the claim that the lost tomb of Jesus has been found is just recycled sensationalist rubble. As Maier noted: "I guess there is no end to the way these deluded sensationalists will try to whack a dead horse!" In short, Jesus is risen indeed. Are the 'Lost Words of Jesus' Real or Fake? Why Doesn't Colin Kaepernick Protest Fatherlessness?